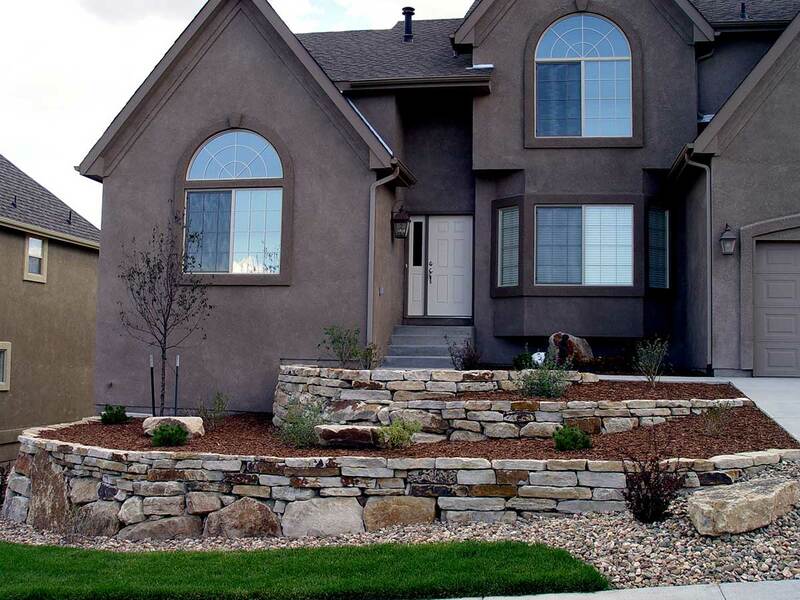 Siloam Stone’s Cinnamon Shadow Quarry Boulders can be used to create stunning, natural looking boulder retaining walls. These irregular shaped, angular boulders come in three different size ranges (1-3’ Dia., 2-4’ Dia. & 4-6’ Dia.). 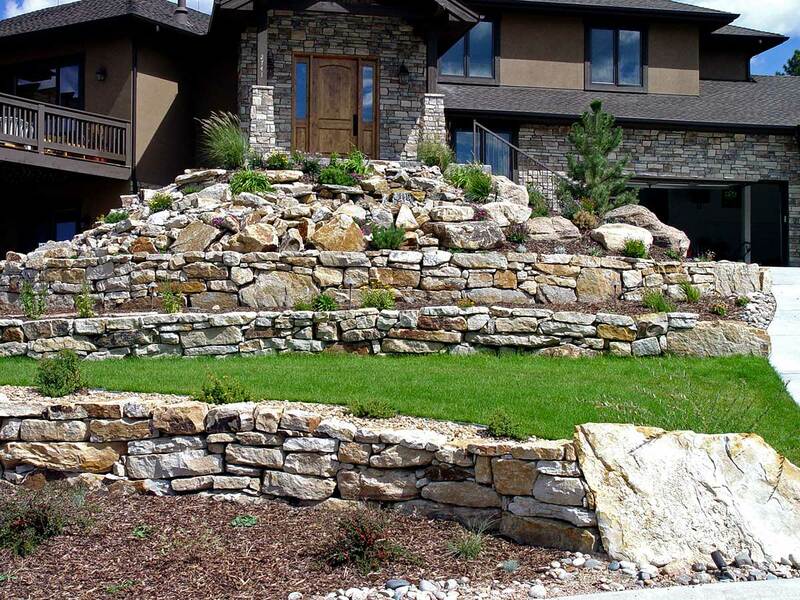 Boulder retaining walls constructed with Siloam Stone Quarry Boulders can provide a very unique elegant appearance that will enhance your home and property. Natural Cinnamon Shadow Quarry Boulders can be used for structural and ornamental purposes in both residential and commercial applications. 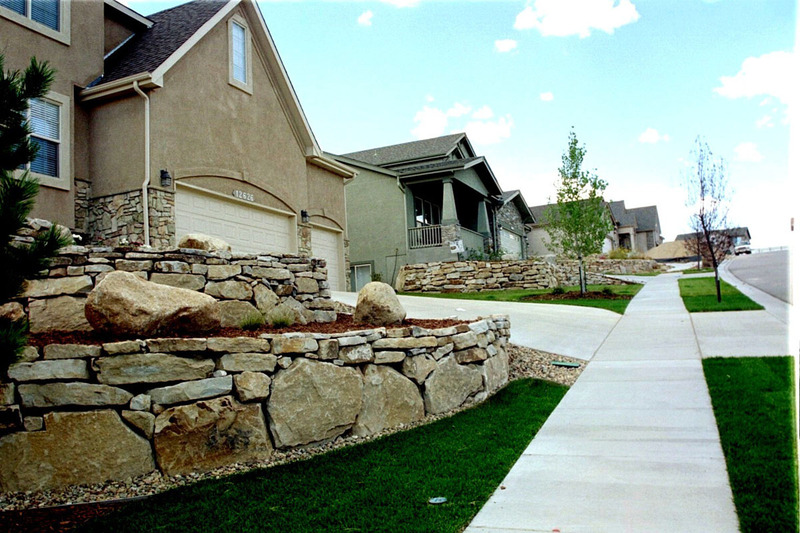 The photos on this page depict examples of Cinnamon Shadow Quarry Boulders used to build stunning boulder retaining walls for residences in Colorado Springs and Larkspur, Colorado. In Colorado Springs 1 – 3 ft. diameter boulders and 3 – 7 in. wall stone were used to build these walls by a combination of machine and hand stack installation. 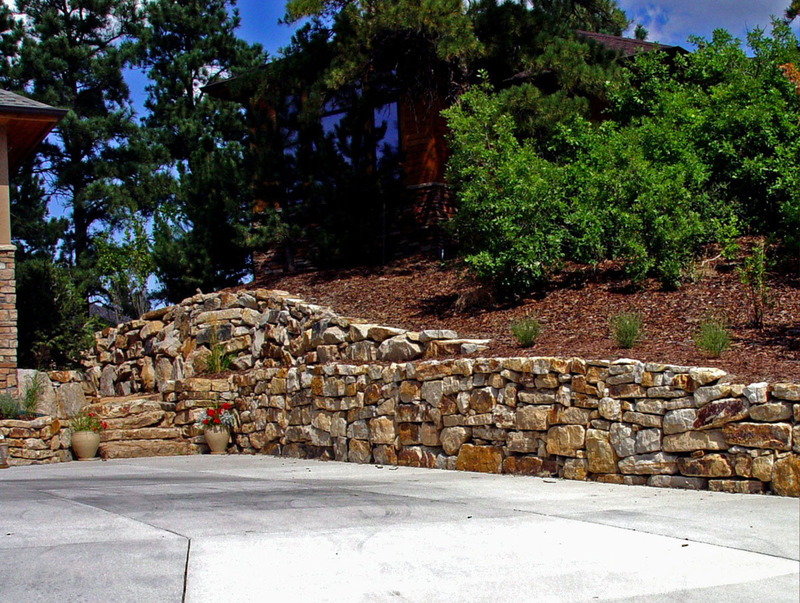 Stacked 2 – 4 ft. diameter Cinnamon Shadow Quarry Boulders were machine installed to create natural-looking boulder retaining walls for a residence in Larkspur. Landscape Design and Installation: Colorado Lifestyles, Larkspur, CO. Description: Stacked 2-4 ft. diameter Cinnamon Shadow Quarry Boulders, machine installed. 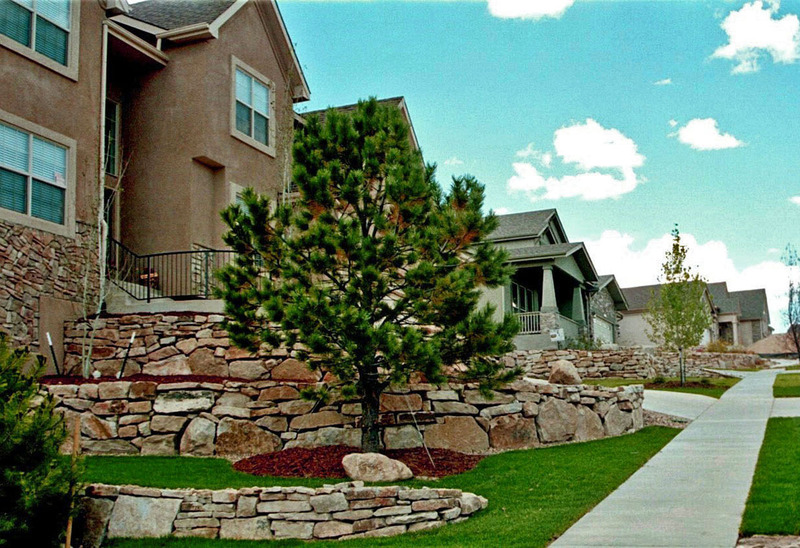 Design and Installation: Timberline Landscaping, Colorado Springs, CO. Description: 1-3 ft. diameter Cinnamon Shadow Quarry Boulders and 3-7” wall stone, Machine and hand stack installation. Private Residence: Stone Crossing-RMC Corp. Development, Colorado Springs, CO.
Design and Installation: Timberline Landscaping, Colorado Springs, CO. Description: 1-3 ft. diameter Cinnamon Shadow Quarry Boulders and 3-7" wall stone, Machine and hand stack installation. Design & Installation: Timberline Landscaping, Colorado Springs, CO. Description: 1-3' diameter Cinnamon Shadow Quarry Boulders and 3-7” wall stone, machine and hand stack installation. Description: Stacked 2-4 ft. diameter Cinnamon Shadow Quarry Boulders, machine installed. Residence: Larkspur, CO. Landscape Design and Installation: Colorado Lifestyles, Larkspur, CO.